Brighton Palace Pier is the symbol of this iconic seaside town. Dating back to 1899 this historic landmark sees families enjoying sticks of rock, fish n chips and slot machines today as they have done for years previously. 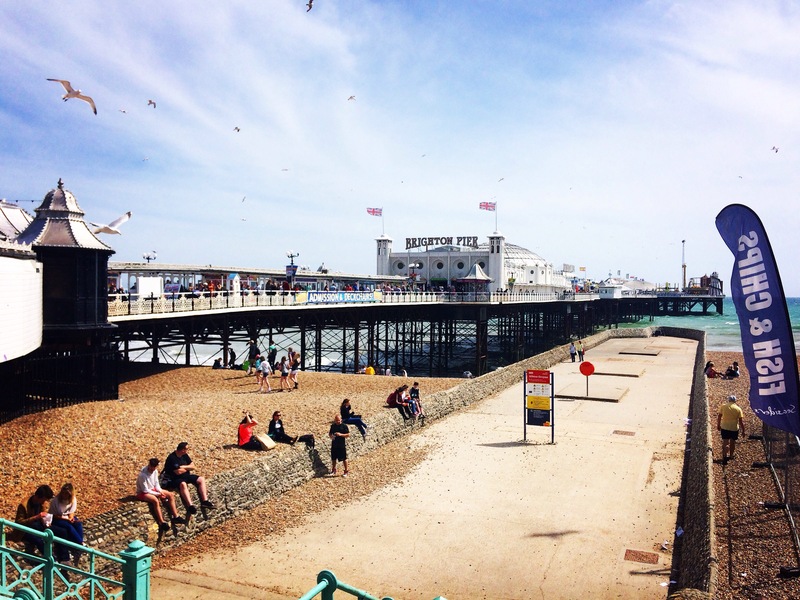 There is something quite unique about a holiday on the British coast….and a day at Palace Pier is the absolute epitome of this. 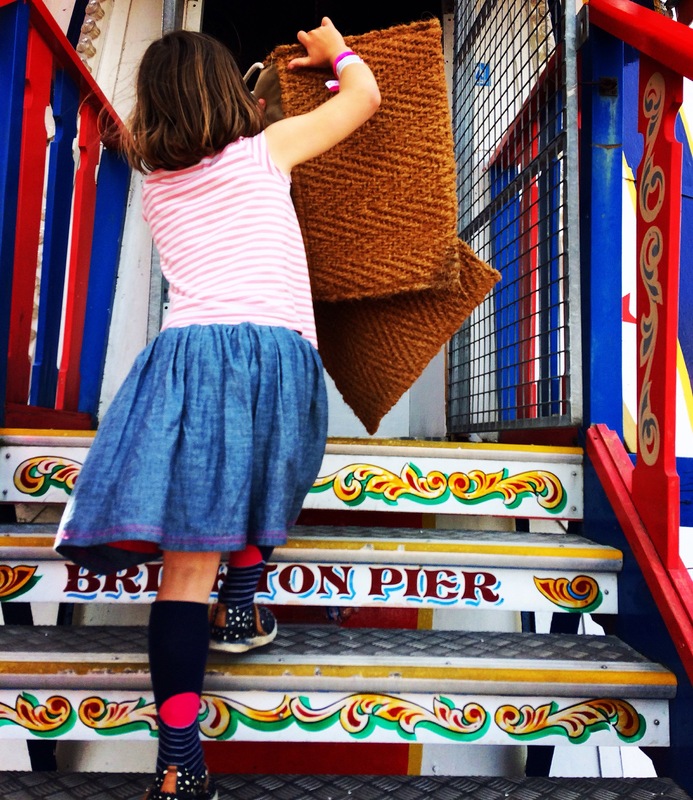 We visited Brighton Palace Pier over May half term as a family treat. 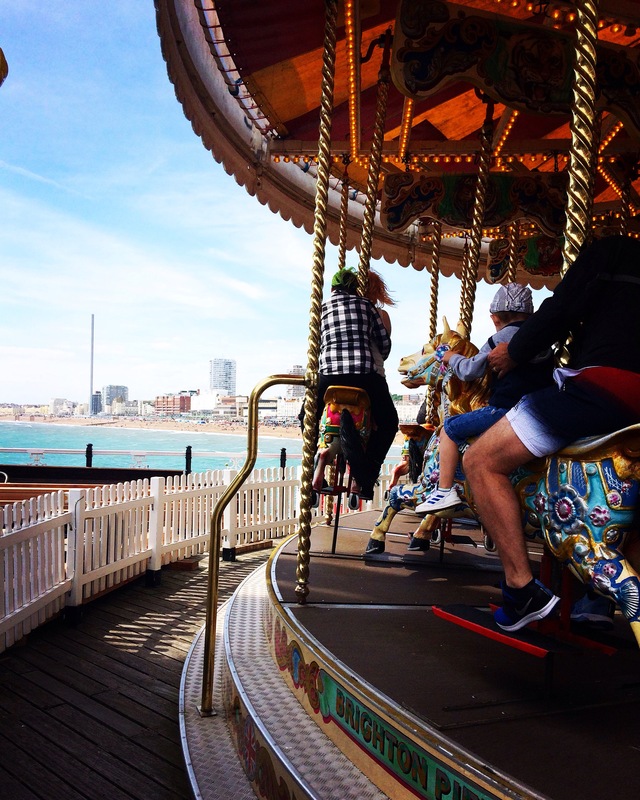 We love to visit Brighton, and despite visiting the Pier a number of times before we have never actually got as far as trying out the rides or visiting the Dome of Fun. Well this was the perfect day for it! 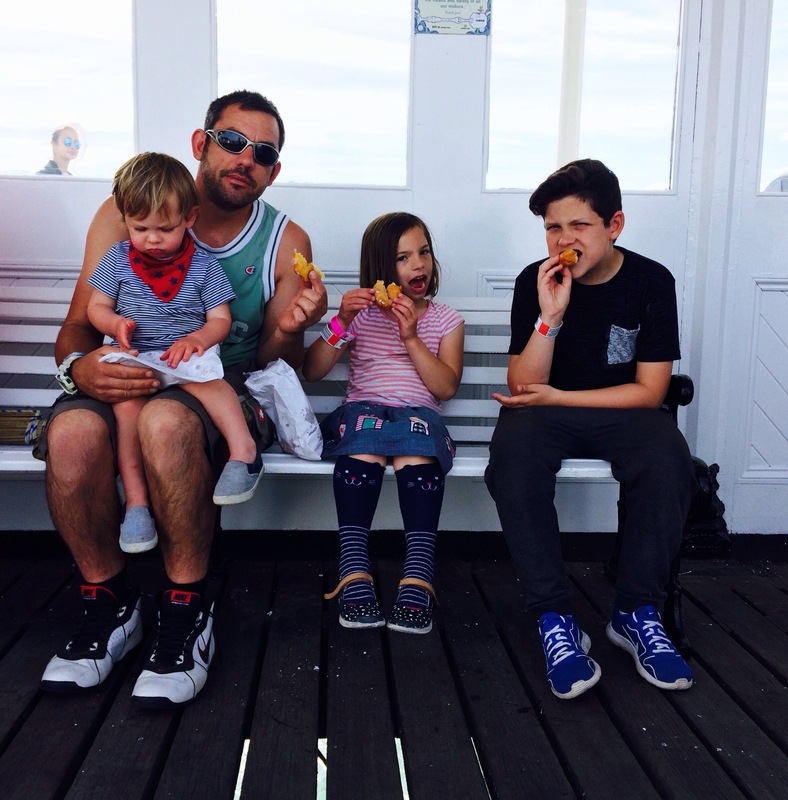 The sun was out, everyone was in high spirits…and the whole family was excited about trying the various rides and experiences the Pier had to offer. The best way (and best value) to enjoy as many of the rides as you can handle is by buying an all day wristband. You can buy these in advance online (cheapest option) or from one of the ticket booths on the pier. There are strict height restrictions on most of the rides so it’s really worth checking which rides your smaller family members are able to ride on the website in advance to avoid disappointment on the day. Full price all day wristbands for Pier goers over 1.2m start at £15 (for a weekday when bought online). Children under 1.2m can get all day wristbands, including access to the new soft play for £10. I think this is great value, especially if you plan to spend a good chunk of the day using the rides. When I think of the extortionate price I pay at local funfairs for individual rides for the children it really doesn’t compare! This is much better value for money. In our family we have the whole range of ages. 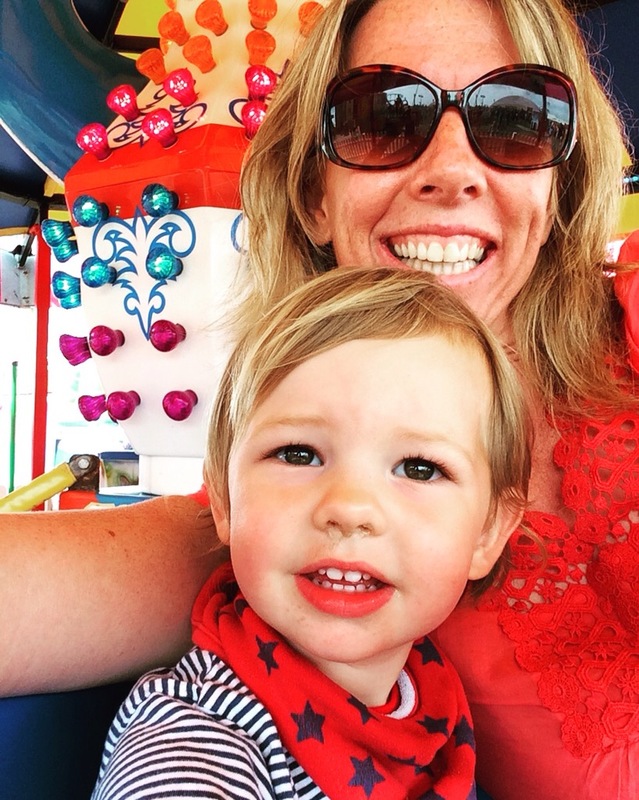 We decided it was better to split up so that Logan (age 22 months) could go on some little person rides…whilst Daisy (7) and Morris (12) could be a bit more adventurous. There are a small number of rides that very young children can ride. Our favourites were the Cup n Saucer…(which spins a lot faster than I expected) and the Carousel. Youngsters under 90cm can only ride the Carousel in a carriage rather than on a horse…but this suited us just fine! There are over 15 rides for bigger kids. You must check the height restrictions on all of these before queuing up. Morris (12) was able to ride on everything, whereas Daisy (7) was often just under the height restriction…much to her frustration! 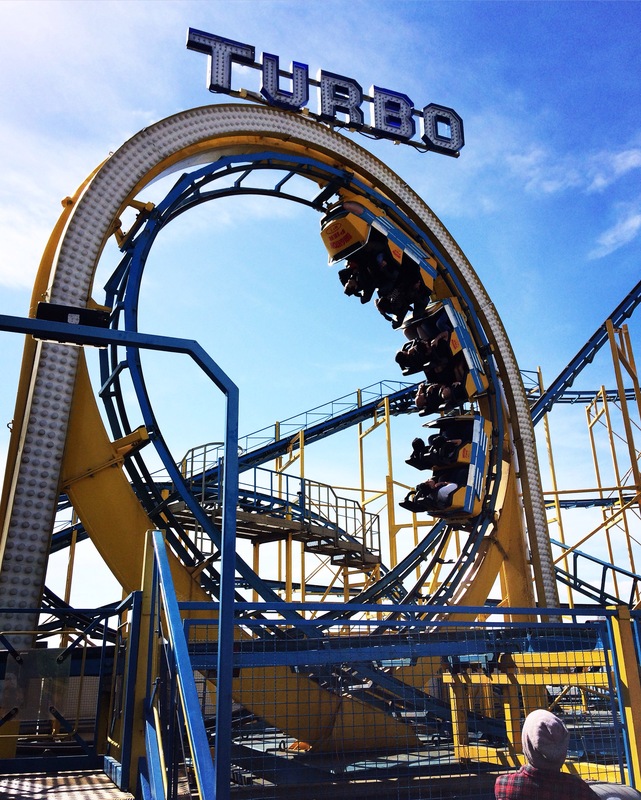 Our favourite rides for bigger kids were the Turbo Coaster…a proper, upside down, loop de loop roller coaster! The Horror Hotel..a ghost train that takes you along spooky hallways and into dark hotel rooms…featuring real ghosts and ghouls! 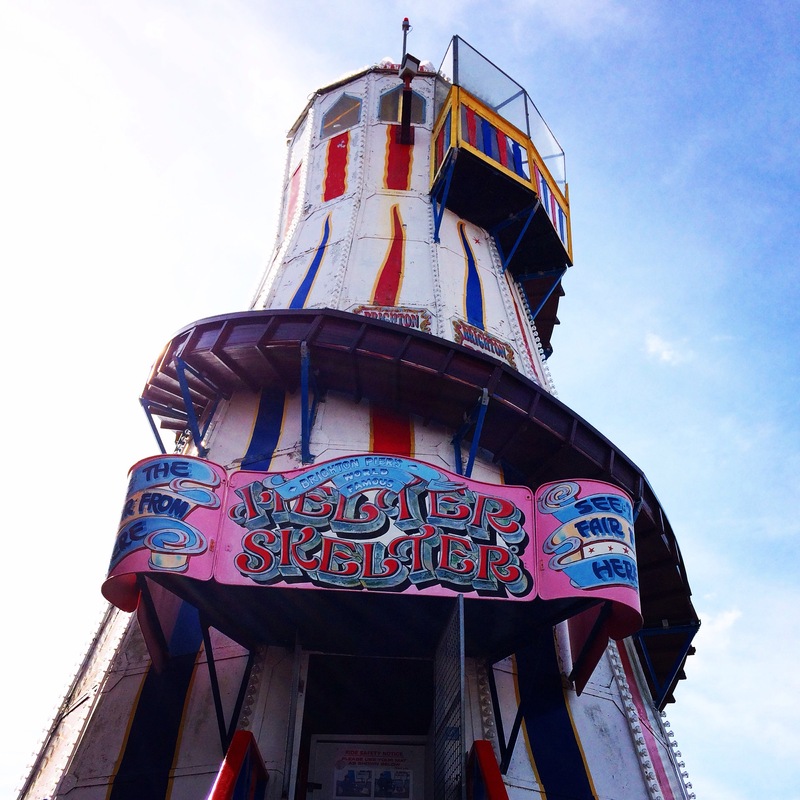 And finally…the good old Helter Skelter…taking you to great heights over the crashing seas…then all the way back down again at the speed of fun! The surprise hit for ALL the family was the huge soft play inside the Fun Dome. The soft play area is divided up to allow younger children the space to explore safely. The main part of the soft play is absolutely huge. I was really impressed by the range of play equipment: slides, monkey bars, glass floors, ladders..the list goes on. Best of all the entire soft play has a seaside them so w pact to encounter crabs, ice creases and seagulls a plenty. 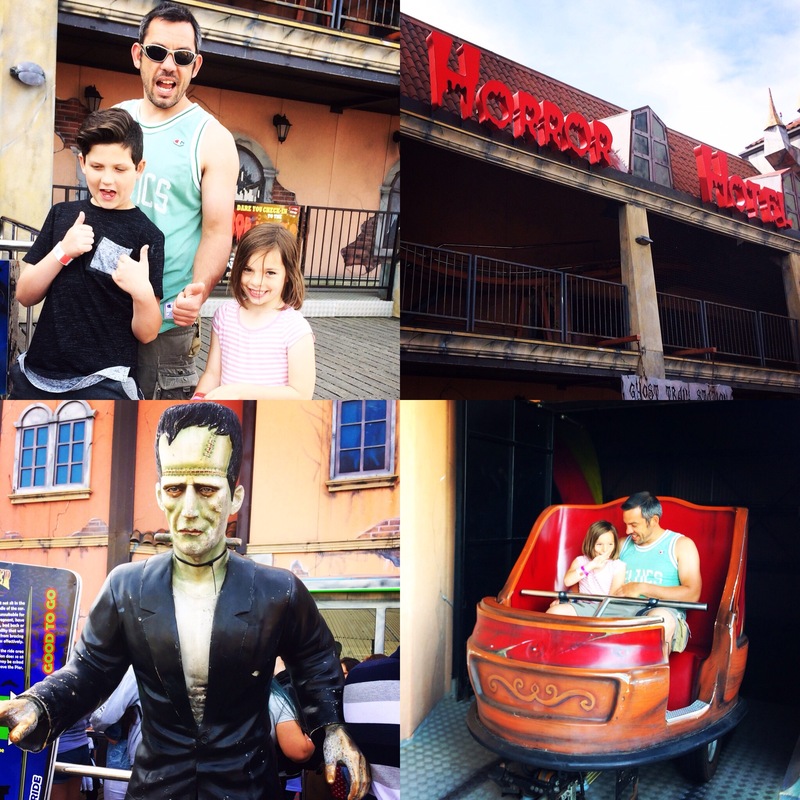 Having been separated on many of the rides…this was a great way of coming together and spending family time together. Even Matt and I were darting around like we were on Krypton Factor…the play equipment is too inviting not to! 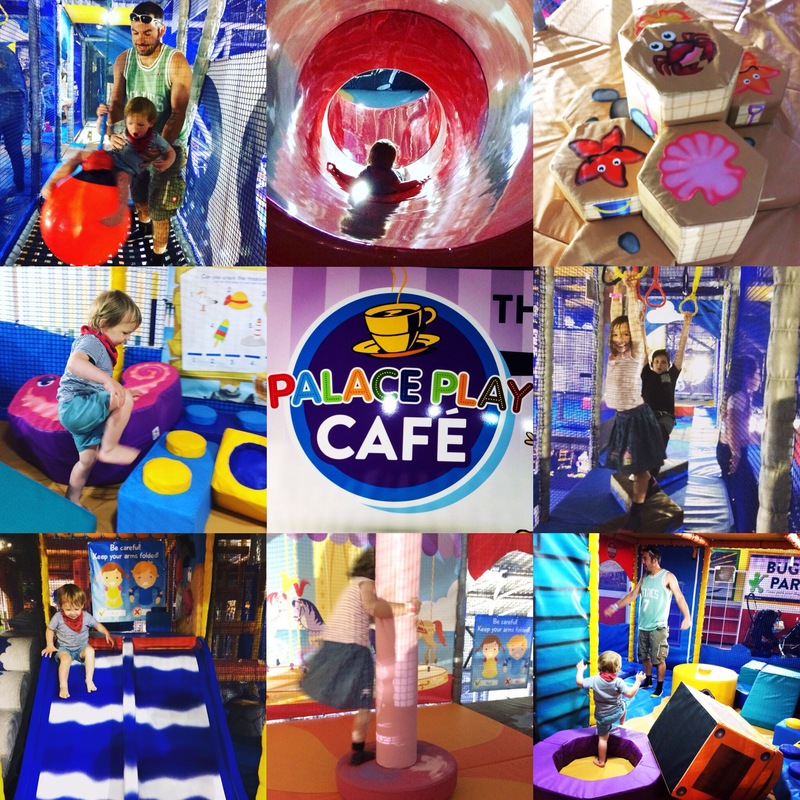 The soft play can be visited exclusive of the other pier attractions for just £2.50 for those under 0.9m or £4.50 for older children. Certainly one to keep in mind for the next rainy day. Brighton Palace Pier is open every day except Christmas. I highly advise checking which rides will be suitable for your children before you visit. You can check rides, height restrictions and buy your discounted online tickets here. We love Brighton Pier too. I keep thinking we should do the all day wrist bands, my kids would definitely get their money’s worth. I wonder if the prices hold for August? 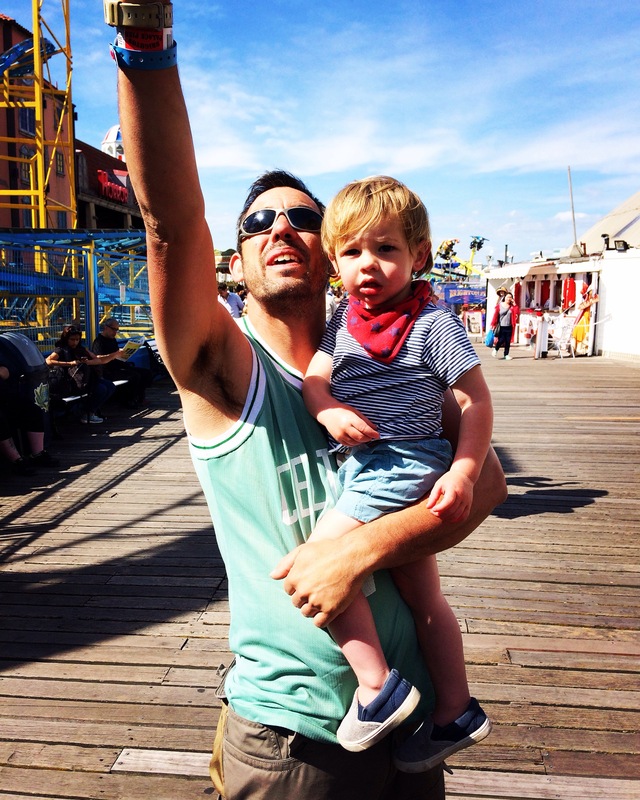 We are bound to be back visiting Nick’s Mum there at some point and a day on the pier for the kids would be perfect. As you say it typifies an English coastal resort and as we don’t have the same sort of thing in Cornwall it is a real treat for us. Last time we went 2 of mine went on that crazy spinning arm thing you can just see in your photos looking back at the pier, it made me dizzy just to watch them! I’m excited to return seeing this post.